When it comes to cosmetology education and career training: http://robertfiance.edu/ Robert Fiance is the only name you need to know. We have over 50 years of experience in the beauty industry and our educational systems. When it comes to cosmetology education and career training: http://robertfiance.edu/ Robert Fiance is the only name you need to know. We have over 50 years of experience in the beauty industry and our educational systems. The Hair Nail and Skin Institute is a quality post-secondary beauty school in Prescott Arizona providing career training in Cosmetology or Aesthetics. Our creative and inspiring learning environment prepares our Students for licensure and the requisite technical and interpersonal business skills needed for success in the workplace. Our Student Salon serves as a vital element of the interactive learning process, allowing our students to showcase their emerging talent to the public. The Hair Nail and Skin Institute is a quality post-secondary beauty school in Prescott Arizona providing career training in Cosmetology or Aesthetics. Our creative and inspiring learning environment prepares our Students for licensure and the requisite technical and interpersonal business skills needed for success in the workplace. Our Student Salon serves as a vital element of the interactive learning process, allowing our students to showcase their emerging talent to the public. The College of Hair Design, based in Lincoln NE, offers Cosmetology and Esthetics courses to students in Lincoln Nebraska and across the Midwest. The College of Hair Design, based in Lincoln NE, offers Cosmetology and Esthetics courses to students in Lincoln Nebraska and across the Midwest. Set your career with professional opportunities in makeup training at the best beauty and cosmetology school in Virginia. Avi Career Training offers relaxing and soothing spa atmosphere with a mission to provide both men and women, the best in skin care. Set your career with professional opportunities in makeup training at the best beauty and cosmetology school in Virginia. 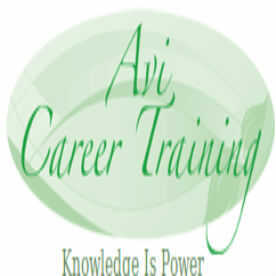 Avi Career Training offers relaxing and soothing spa atmosphere with a mission to provide both men and women, the best in skin care. Your future, your career and your success are hinged upon you finding the best college for you. Offering cosmetology, skin care and nail technology training. Come visit our north Dayton Ohio location today. Your future, your career and your success are hinged upon you finding the best college for you. Offering cosmetology, skin care and nail technology training. Come visit our north Dayton Ohio location today. The Institute of Aesthetic Arts & Sciences (IAAS), founded in 1987, is a leader in Aesthetics instruction. The Institute provides students with a quality education incorporating both theory and practical application in the field of aesthetics. The Institute of Aesthetic Arts & Sciences (IAAS), founded in 1987, is a leader in Aesthetics instruction. The Institute provides students with a quality education incorporating both theory and practical application in the field of aesthetics. Cosmetic Consultants are highly qualified and skilled teachers which will help you develop a career in beauty therapy. Call us for details on the courses. Cosmetic Consultants are highly qualified and skilled teachers which will help you develop a career in beauty therapy. Call us for details on the courses. Remington College features the Matrix C.R.A.F.T. Program, providing training in hair care, nail care, and skin care. Remington College School of Cosmetology offers haircuts, hair coloring, manicures, pedicures, facials, and other salon services. Remington College features the Matrix C.R.A.F.T. Program, providing training in hair care, nail care, and skin care. Remington College School of Cosmetology offers haircuts, hair coloring, manicures, pedicures, facials, and other salon services. Remington College features the Matrix C.R.A.F.T. Program, providing training in hair care, nail care, and skin care. The Salon at Remington offers haircuts, hair coloring, manicures, pedicures, facials, and other salon services to the public. Remington College features the Matrix C.R.A.F.T. Program, providing training in hair care, nail care, and skin care. The Salon at Remington offers haircuts, hair coloring, manicures, pedicures, facials, and other salon services to the public. Cosmetology Schools in Springfield, MO — Scouting cosmetology schools in Missouri? The Academy of Hair Design at 1834 South Glenstone trains barbers, manicurists & more. Call us, a leader among Missouri cosmetology schools! Cosmetology Schools in Springfield, MO — Scouting cosmetology schools in Missouri? The Academy of Hair Design at 1834 South Glenstone trains barbers, manicurists & more. Call us, a leader among Missouri cosmetology schools! Laser Training in Miami is a laser campus of Florida Medical College dedicated to training people in the aesthetic and therapeutic laser treatment. Laser Hair Removal, Laser Skin Rejuvenation and Skin Tightening, Laser to treat nail fungus and others. Laser Training in Miami is a laser campus of Florida Medical College dedicated to training people in the aesthetic and therapeutic laser treatment. Laser Hair Removal, Laser Skin Rejuvenation and Skin Tightening, Laser to treat nail fungus and others. Chellsey Institute of Aesthetics Mississauga Offers the Advanced Diploma & Certificate Programs in Manicure, Pedicure, Waxing, Basic Skin Care, Paramedical Skin Care, Make-Up, chemical peels, Clinical esthetics, Hot stone massage, Spa therapy. Chellsey Institute of Aesthetics Mississauga Offers the Advanced Diploma & Certificate Programs in Manicure, Pedicure, Waxing, Basic Skin Care, Paramedical Skin Care, Make-Up, chemical peels, Clinical esthetics, Hot stone massage, Spa therapy. Hairlines Salon is a new concept in the premier Hair Salon and Beauty Salon experience. Enjoy fabulous cut and color by a Master Stylist in a private and fun boutique hair styling salon! Hairlines Salon is a new concept in the premier Hair Salon and Beauty Salon experience. Enjoy fabulous cut and color by a Master Stylist in a private and fun boutique hair styling salon! Locate A Beauty School - Find all the information on Beauty Schools, Cosmetology School and Barber School near you. Locate A Beauty School - Find all the information on Beauty Schools, Cosmetology School and Barber School near you.